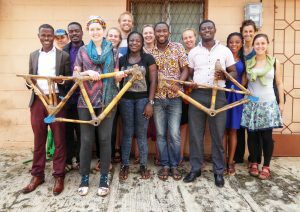 Continuing our commitment to support social innovation for resilient communities, the two year Youth SIRCle project brought together young social entrepreneurs from Cameroon, Denmark, Ghana and the UK for several local and international events. Through the project, more than 80 young people took part in local trainings, 16 of which travelled to international Innovation Labs to further boost their social businesses. We also expanded our flexible pattern language curriculum with 25 new patterns and 30 new exercises to support social innovation and entrepreneurship, and created a new Business in a Box concept, gathering replicable regenerative businesses in easily accessible templates that you can use to set up your own enterprise. The Youth SIRCle project finishes in June, but the curriculum – The Evoneers’ Journey – is available online and as a customiseable GEN Training. It was originally developed in partnership with social entrepreneurs, academics, educators, local development experts and members of transition initiatives and ecovillages from 6 European countries in the Erasmus+ funded SIRCle project. Starting in June, it will also become one of the cornerstones in a new Ecovillage Game – our latest project in the area of education for social entrepreneurship, innovation and ecovillage implementation. GEN has grown very quickly in China over the past 3 years. Trainings in 2016 and 2017 included an introduction for government representatives of the Agricultural Ministry in Sichuan Province, Chengdu. 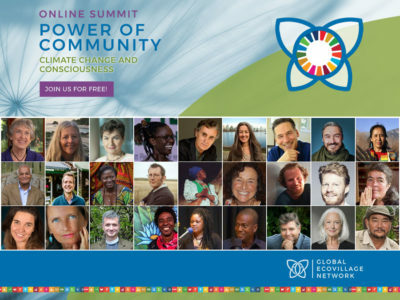 The Sunshine Ecovillage Forum organised conferences, inviting several GEN Ambassadors as speakers and drawing around 500 participants each in both 2016 and 2017, thus sparking a rapid growth in interest in ecovillage development. In December 2017, a training for 50 representatives of the growing movement was organised close to Beijing and on 9 December, a one-day conference took place at Beijing University. 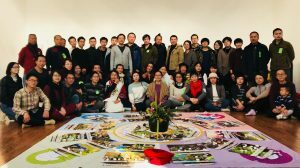 The Chinese Ecovillage Network was officially launched! GEN and the regional network GENOA are now in regular contact with a growing number of GEN Ambassadors in China, and are preparing to sign agreements with UNESCO in Beijing to collaborate on education for learning villages throughout China, as well as offering a full Ecovillage Design Education in September. An important part of this outreach comes from translations of GEN’s programme materials into Mandarin. 2017 saw the launch of the Ecovillage Learning Journey – a set of flexible ecovillage based trainings linked into a global programme certified by GEN. In 2018, we are inviting more and more communities and trainers to make their educational offerings a part of the Ecovillage Learning Journey. We are also launching and prototyping several new trainings, including the exiting GEN Training of Trainers, designed to strengthen your capacity to teach, facilitate and train people using GEN’s unique tools and ecovillage based pedagogy. The first GEN Training of Trainers takes place in Estonia in July, with more possibilities in other parts of the world coming later in the year. If you are interested in the path of becoming a certified GEN Trainer, you are warmly invited to learn more and register here. Another new training is the Trauma Transformation in Community – an innovative program weaving together neuroscience, somatic therapies, mediation skills, and community building tools for prevention, regulation, and integration of trauma. 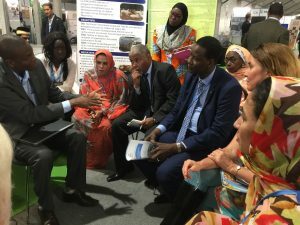 As a part of GEN’s ongoing Advocacy work, we were honoured to receive an invitation to participate with governments and non-state actors in the Talanoa Dialogue earlier this month. Talanoa is a traditional storytelling method from Fiji which hosted last year’s annual UN Climate Change conference. Visit our GEN at Talanoa page for more on the process and how ecovillages offer community led solutions to climate change.